Most common birthmarks are either red (port-wine stains) or brown (congenital melanocytic naevi). 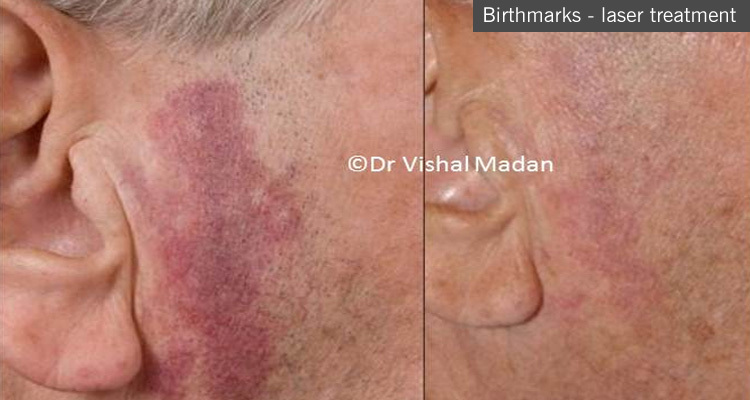 Effect of such birthmarks on confidence of the patients cannot be underestimated. With advances in laser technology, port wine stains and congenital melanocytic naevi can be improved. Complete removal of birthmarks with lasers may not be possible.